Living in Bucharest can be quite rewarding, as you benefit from all the amenities of a modern capital, but you also need to be prepared to see all the rocks ahead, as, like most big cities, Bucharest has a bright side and a darker one. But do rest assured that some research can spare you of seeing much of Bucharest’s downside and will help you enjoy a safe stay, no matter if it’ a short or a long one. So, if you decide to buy or rent a place in the capital, you may want to analyze some important info about the safest areas of the city. There are plenty of studies and statistics regarding crime rates, offering an objective assessment of crime incidence. And they all reveal some bad areas and some safe ones. According to these studies, the Northern part of Bucharest is the safer one. We are talking about Primăverii, Floreasca, Herăstrău, Aviaţiei, Băneasa, with an extension in the northwest, to 1 Mai and Cotroceni. Aviaţiei and Cotroceni are also valued as the most tranquil areas of the city, so they are to be considered especially if you’re moving in with your family. 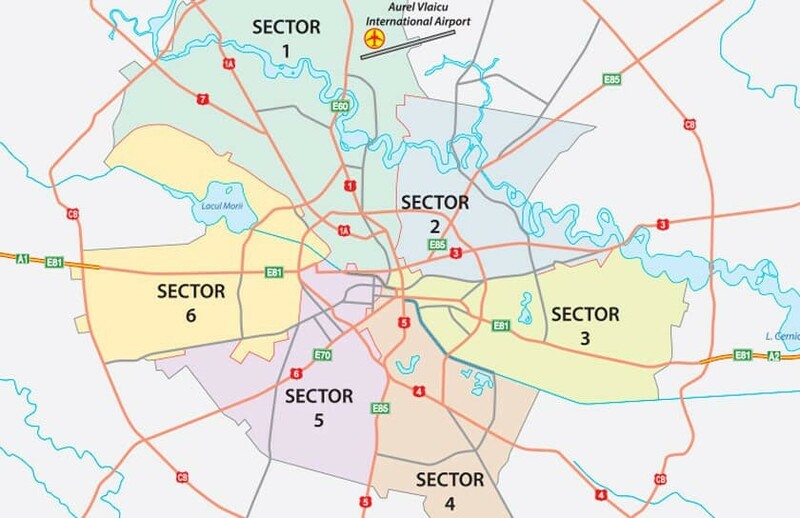 The most common risk when living in one of these areas is thieves, attracted to break in the houses of what seems to be known as the wealthiest areas of Bucharest. But there are a lot of precaution measures taken by most house developers meant to improve safety and discourage thieves (alarm systems, security agents, and video surveillance). Aside from that, these are the areas where you can walk at nighttime with no worries. Of course, like almost everywhere on Earth, you need to be reasonable and realize that there is still a possibility for bad things to happen. Not being naive is a must for every big city inhabitant. Besides a lower rate of major crimes, these are also probably the most recommended areas to live in due to their vicinity to parks, metro lines, shopping areas, international schools, and all sorts of recreational facilities that Bucharest has to offer. Also, the real estate offer is so rich and diversified that it is practically impossible to not find something to your taste and wallet size. Let’s see now which are those Bucharest areas that are better to be avoided, so you can make the best moving decision if you’re not yet convinced or have a liking for the Northern side of the city (although these are, for good reasons, the best-seller areas for Romanians and ex-pats equally). And this is one of those instances when it is better to bet on most people opinion. So, the worst places to live in Bucharest due to major crimes rate are in District 5 – Rahova and Ferentari neighborhoods. Famous for their skilled pickpockets, car robberies, and organized crime clans, these two do not excel from an architectural point of view neither. An eclectic style, unfortunately with a negative connotation, has gained momentum and seems unstoppable. It is not very clean either and there are beggars at every turn. Pantelimon and Giuleşti are also notorious each in its own way: Pantelimon for the gangs and Giuleşti for the stray dogs and lame streets condition (plenty of potholes, unaccommodating sidewalks, and trash in plain sight). These are pretty much the good and bad areas of Bucharest. 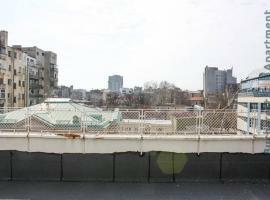 But the overall good news is that, statistically, Bucharest is one of Europe’s safest capital. As a responsible owner or a wise rental, you must take into consideration all your options in order to secure your property against burglars. Fortunately, there are ways and security measures that will set at rest this serious problem and provide you with tranquillity and safety. Use a security system. It’s the most efficient way to defend your apartment. It will instantly detect any act of intrusion. You can choose from setting in a surveillance camera, using a wireless security system that you can access from your mobile phone, install motion detectors. 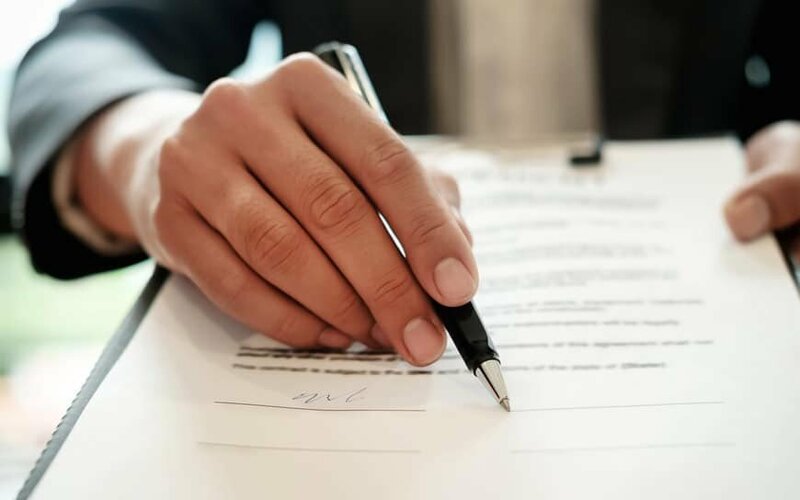 Moreover, you can sign a contract with a specialized firm that deals with home’s security and offers an incident response team. How does this work? It’s a method of combining tech and humans. Basically, the firm will install door and windows sensors, webcams, motion sensors, a siren or an alarm (all these depend on what you want or need), and a control panel. All security items installed will communicate with the control panel – a computer that deals with all items and can arm and disarm the system. It also sends info to the security firm. BGS is a renowned security company that offers alarm systems and monitoring-intervention services. They will cover your problem from scratch. It will all start with the consultancy part (what exactly do you need, the area you live in, apartment’s surface, ways of entry, and which alarm items are suited for you). They will continue with installing this personalized alarm system that will finally be connected to BGS Dispatch and will monitor potential burglary events. Their intervention agents are said to be among the most feared among burglars, and very well equipped and prompt. NEI is another company offering solutions to security-related problems. They have monitoring and intervention services. It all happens in their system dispatching center, where all alarms are taken over and efficiently assigned to the team located in the proximity of your apartment. They will also notify the police and retain the suspect until the arrival of the officers. Even better, depending on the type of contracted services, one of NEI’s agents will randomly (day/night, different hours) supervise the area of the apartment. Team Guard will install all sorts of security sensors– glass break, vibration, magnetic contact or infrared barrier sensors. They also have a general dispatch where all alarm signals are received and then allocated to specialized intervention teams. Other highly rated security companies in Bucharest are R.P.G Security, G4S Secure Solutions, or Civitas. They all offer monitoring&intervention packages, but prices may vary from one company to another. Don’t be naive and/or negligent – try to put yourself in the shoes of a burglar and spot all your apartment’s weaknesses. Also, do not make the mistake of hiding your spare keys under the doormat or advertising your vacation on Facebook. Although there are many things to say about apartment insurances, their overall benefits are undeniable, just compare it with your car insurance, think of all the troubles you can get in the case of not having it insured and that’s one viable reason why you should consider looking into insuring your apartment. Because it’s not only about what you can do wrong, but also about your neighbors, natural calamities and so on, things and facts that are not at all under your control. – other types: fire, lightning, explosion, smoke, gas, fumes. Be aware that in Romania each owner needs to have a PAD insurance – a compulsory insurance against natural disasters – so you are allowed to purchase an optional insurance only if you make proof of the PAD one first. Check with your apartment owner or with the seller to make sure everything is alright. So, in the unfortunate case of some type of lost or damage, you can rely on your insurance to protect you and to help you move forward. Romania’s insurance market is quite rich and you can choose from multiple insurance companies, insurance plans, a wide range of prices, depending on your needs and on how much are you willing to pay for it. In summary, the insurance premiums are somewhere between 0,1-0,4% of the apartment value and of your personal goods. 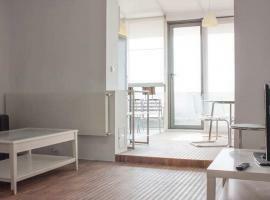 For example, for a 60000 euros apartment you will pay an annual insurance premium of 60-240 euros, the exact amount depending on the type of construction (if it’s a new or old building, external and internal finishes, floor space) and on the covered risque package that you choose. Generaly Romania has a big insurance portfolio, starting with a classic package offering coverage against natural calamities, fire, lightning, explosion, smoke, gas and fumes and the Completa package and Completa Plus one, where you can add all sorts of additional risks, plus special goods to be covered, such as things of value and/or heating plants. Allianz Tiriac has the Armonia Plus package which, besides the coverage of the main types of damage and lost, has two optional special clauses: the extended warranty clause (offering technical assistance for repairing or replacing appliances and electronics that are no longer covered by their producer warranty) and the electrical phenomena clause (offering technical assistance for repairing or replacing appliances and electronics damaged by electrical surge, short-circuit, interruptions in the power grid). Viva Casa package from Omniasig Insurance Group offers coverage against all types of risks, four types of personal goods insurance and on-site technical assistance for appliances, electronics and other damages. The insurance premiums payment system varies from one company to another, offering discounts for advance payment of the insurance (for the entire insured period) or all sort of payment in installments plans. There are several factors you need to take under considerations when renting in Bucharest beside your own desires and expectations to live in a house or an apartment. Both choices come with their specific benefits and drawbacks and we will try to offer you some guiding lines to help you made up your mind. 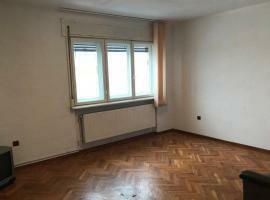 Let’s take, for example, Bucharest District 1 (Herastrau, Aviatorilor, Primaverii, Dorobanti), an expensive area with a poor offer in terms of houses renting, too much demand and not enough supply because many people prefer being in the center of things, where you can benefit from all facilities of the big city. Depending on the surface, houses renting prices go from 1400 euros and up. You’ll have a terrace, a courtyard and a parking space, it can be furnished or not, depending on what you want. You will fully enjoy the yard, have plenty of space for the family and friends gatherings and have no problems regarding your privacy. The downside comes with rental and maintenance costs as houses surfaces suppose bigger expenses for heating, electricity, lawn nurturing. 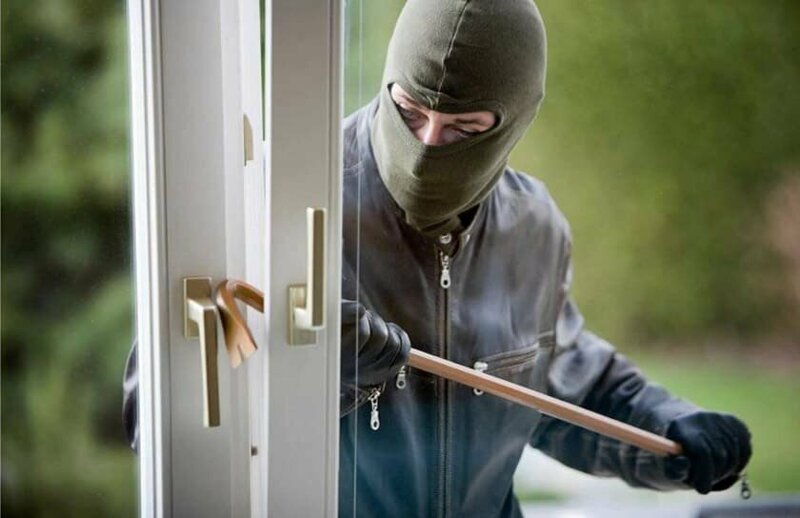 And if the house does not come with an alarm system, you need to consider buying one, because most robberies tend to happen in houses, as they are more isolated and also more appealing to thieves than apartments are. 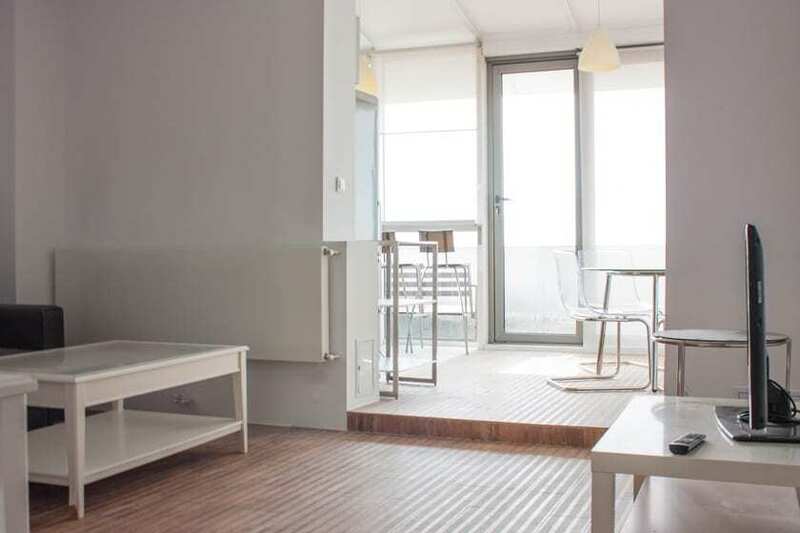 In the same District 1, you can choose renting a 3 or 4 rooms spacious apartment (130-170 sq m). Some have quite big terraces and garages and, with prices starting from 1400 up to 2500 euros, you’ll get a lot of comfort without the need to worry about the outside maintenance that a house involves. You can meet people more easilly, take the pulse of the inhabitants and also feel more secure. Of course, there is the risk of annoying and noisy neighbors and you may feel a little cramped, even dream of a barbecue sometimes, but you can get over it going out and exploring your surroundings. There’s also the choice of avoiding the crowd of the central area by migrating to the outskirts of the city. The north side has become one of the favorite for people who enjoy a more quite area and want to be a little close to nature. Here, the developers offer bigger surfaces and lots of green spaces, within buildings that are new or recently built. With prices starting from 600 euros for a 3 rooms apartment with 2 terraces, you will have your own parking lot, a full time security guard, kids playgrounds and the vicinity of the forest, where you can take long walks and enjoy fresh air. Most apartments are part of residential districts so be prepared to face your many neighbors each day, play by the rules and share the facilities with the other co-residents, facts that will hurt your need for privacy. But being a little far from the city center will definitively have a saying on this because you need to consider all the precious time you’ll be spending in the horrific traffic, count the gas money, think of all the times when you’ll be inclined to say no to an invitation or an event in the heart of the city simply because, well, it’s to far away. In the end, all that matters is to know how to balance your needs with your wallet and expectations. 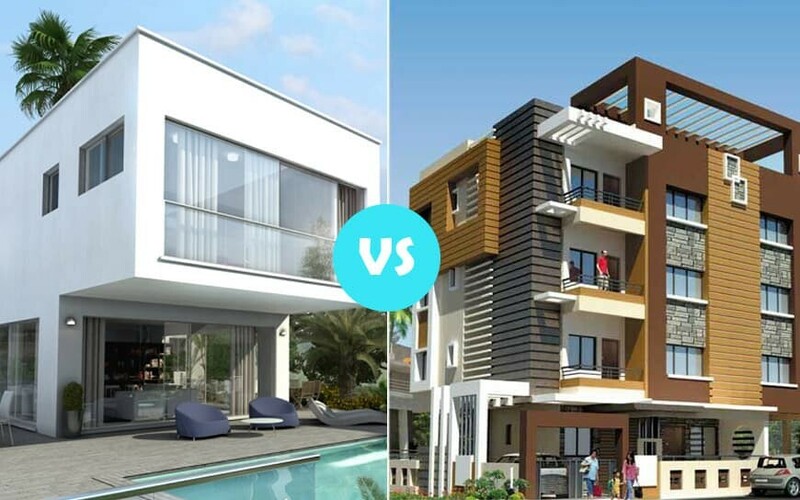 Advantages and disadvantages of each and how it effects apartment price. 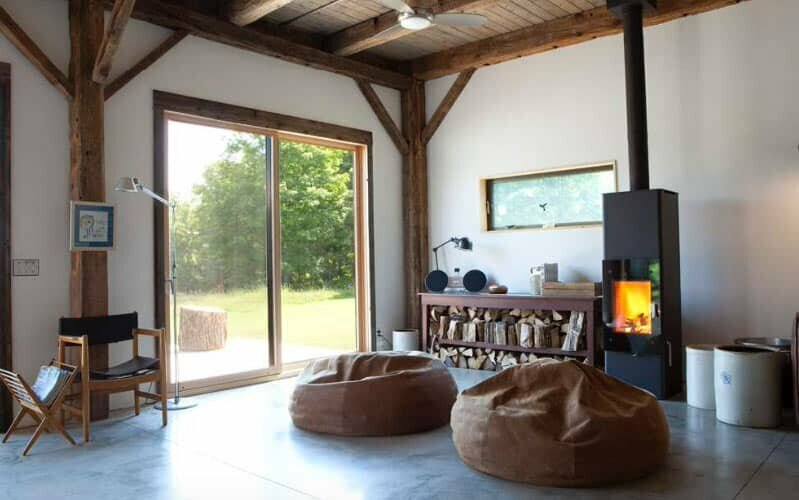 As far as the heating of your house goes, you must take into consideration several things that will directly hit your budget: type of heating, surface of your home and type and quality of the layer of insulating material utilized. As first step you may want to check with the constructor or with the real estate agency the detailed specs regarding this issue. Heating your house with RADET (Romania`s main thermic energy supplier) central heating system was (and still is up to the point where it will be no longer subsidized by the Government and by the local city halls) the best option when it comes to the price/gigacalory (around 163,03 RON for individual consumers). But your place must come with new heating vents and pipes as the old buildings have all sorts of problems because of the ancient pipes system so if the building has this part sorted out you may not have to wait until the hot water climbs up to your level. Yet, the worst part comes from the fact that sometimes, due to various reparations to their main thermic points, RADET may leave you in the cold, for some time, right in the middle of the winter. It`s not often, but you may find this unacceptable. So, the strength of the central heating is definitively the price, especially for the bigger apartments (with 3 or 4 rooms) for which, compared with a boiler type of heating, you can save approximately 1300 RON/year. If you want to be independent from this point of view and not depend on the central heating system, you will choose a boiler type of heating that will provide you both heat and hot water. I will suppose that you will just buy/rent the place and not deal with all the steps for this type of heating (the project, the pipes and heater acquisition, the maintenance). The boiler will make all the difference, because there are ones that are highly performant and can make a huge difference on your annually bill. For gas-fired plants the average price is around 355,74/gigacalory for a 2 rooms apartment and around 331,32/gigacalory for a 3-4 rooms apartment. Is it more expensive than what you can get with the central heating? It is, but this choice comes with the advantage of literally being the king of your castle, as you can decide for your own which is the inside temperature you most feel comfortable with, adjust your consumption or choose a payment plan according to your needs. As you see, it all depends on what your priorities are, so make sure you`ll take all facts into consideration before making a choice. So, if you`re about to move to Bucharest, here are some useful facts that you should know and that can help you start your new life in Romania. First of all, consider arranging as much as you possibly can before you actually relocate to Bucharest, as it will be easier for you to just deal with your new house/apartment and getting around in the city. So, first move: find yourself a real estate agency that shall take care of finding the right place for you. Second of all, depending on your needs and purpose of your stay in Romania, you need to know the formalities about establishing of your domicile (temporary or not) in Bucharest. The General Inspectorate for Immigration deals with such matters, being the competent authority. Depending on your stay and on your plans, you may need a long stay visa for employment purposes or a visa for deployment (necessary documents for obtaining this type of visa: a copy of the work permit issued by the General Inspectorate for Immigration, a proof of financial means for the entire period of the visa, criminal record certificate and a medical insurance valid through your visa duration; for deployment-copy of the posting permit, a proof of financial means for the entire period of the visa, criminal record certificate and a medical insurance valid through your visa duration). You must pay a 120 EUR visa fee in the country where you make the request and is granted for 90 days (one or more trips). But if you want to establish a long-term residence in Romania and receive a 10-year residence permit, you must follow these steps: make a long-term residence request at the General Inspectorate for Immigration Bucharest and wait for their answer. If it`s positive you may then submit the following documents: application form, ID documents, proof of social health insurance, proof of financial means of support, criminal record certificate and civil status document. The main condition for obtaining this visa is that you must have had a continuous stay in Romania during the last 5 years. Obtaining the work permit is your employer task so you don`t need to worry about it. After obtaining a visa, you must now submit several documents (maximum 30 days before your visa expiration date) and obtain a residence permit and, good news, this step can be done online at: https://portaligi.mai.gov.ro/portaligi/ . All residence permits can be extended. With your residence permit comes your PIN, that will identify you an all Romania`s territory. Once you have your permit you can benefit from free Romanian language courses and accommodation sessions (for details visit http://igi.mai.gov.ro/ro/content/programul-de-integrare). To benefit from Romania`s national health care system, you need to submit a request and start paying the contributions to the Casa Judeteana de Asigurari de Sanatate Municipiul Bucuresti (National Health Insurance Fund). You also can get a full price monthly metro pass with unlimited trips, or a bus, tram, and trolleybus Activ Card, use the taxi or the Uber. Romania`s educational system accepts foreigners and, in order to register a child for school, you first need to submit an equivalency request at Inspectoratul Scolar Bucuresti (Bucharest School Inspectorate) and then register your kid at a school from your District. Keep in mind that Bucharest has several International Schools, so you may find useful information about the scholar system right there. Maybe you`ll love Romania and wish to obtain Romanian citizenship… if that`s the case, the law stipulates that you need to have been living in Romania for at least 8 years (or be married with a Romanian for at least 5 years), prove a decent living, own a spotless criminal record certificate, speak a basic Romanian language and have knowledge about Romania`s history, geography, constitution and national anthem. If you`re good to go, the Commission for citizenship will reward you. The real estate market has been shaken after the 2009 recession and Romania’s capital was one of the locations that suffered a lot from it. 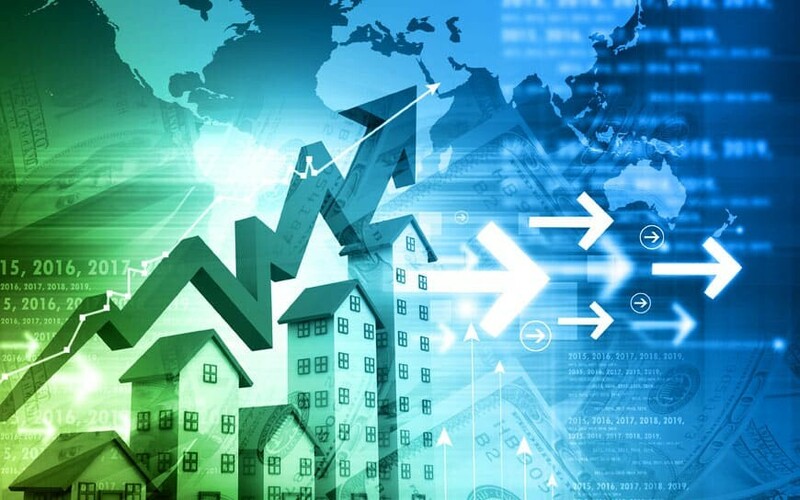 However, in time, thanks to the speedy recovery of Romania’s economy, the real estate market grew and grew to the point where it achieved the highest increase in the past 5-7 years. The many sectors of the market, from office buildings to the industry have developed and continue to do so, making it a haven for new and old investors. One of the first indicators of a healthy real estate market is how many buildings were built and are now being used for commercial purposes in a city. The shopping centers in Bucharest occupy more than three million square meters in 2017, which is a huge increase from the past. In 2016, two new shopping centers were opened in the Romanian capital, Parklake Plaza and Veranda. Parklake Plaza covers a total surface of 70,000 square meters, whereas Veranda covers about 30,000 square meters. The country as a whole has 129 schemes, with 31 existing in the capital city alone. Parklake Plaza has one low ground floor, a ground floor and a first floor. It is the largest shopping center opened in Bucharest in the past five years and it has spaces dedicated to leisure activities, fashion and a cinema area that boasts 14 screens. It is important to note because the opening of this particular place shows how healthy the real estate market is in Bucharest. Another indicator of the health of the Bucharest real estate market is the number of offices that were built in the capital. An entire area, the Barbu Vacarescu area, is now a host to 371,000 square meters in office space, most of which was built after 2009. Before 2009, Barbu Vacarescu was a regular location in Bucharest, but after 2009 it became the area with the most office spaces in the entire capital. At the same time, an addition 265,000 square meters in office space was built and is now in use in the capital city, which it a record in the past 7 years. The Northern part of the capital hosts the most buildings with office spaces, followed by the south and then the western part. Another record was noted in terms of places that were leased or whose contracts were renewed. Bucharest noted a 37% increase in the demand for new office spaces and a 33% increase in the new leases that were signed all over the city. Another 30% increase was noted in the renewals category, as well as an 11% increase in expansions. All of these pointed to another record in the development of the real estate market. Renault-Dacia, the famed vehicle developer and BCR, the Romanian Commercial Bank, were the two corporations that leased the most office space in Bucharest. The industrial sector in Bucharest has been doing well for quite some time so it is no surprise that in 2017, it is still going strong. In Bucharest, 190,000 square meters were built for industrial purposes in 2016-2017, which is much higher than the entire volume that was built during the 2009-2015 period of time. Granted, the real estate crisis that began in 2009 has shaken the real estate market in the entire world, but this increase in 2017 shows that it has healed quite well. In 2016, the amount of space built for the industrial sector was higher by 7% than that in the previous years. In total, the capital has registered 55% of the total space built in the entire country. The residential sector did experience 10% price increase, and other factors that affect it have changed so it may raise even more in the future. 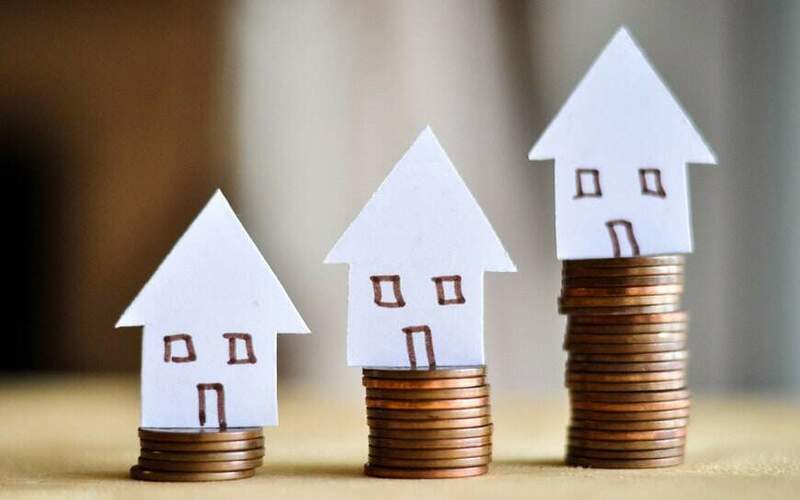 The salaries have increased, the demand is higher than in the previous years and the interest rates have decreased so there is hope that the number of residential houses that will be built in the future will increase. However, this does not mean that the residential sector has stagnated in 2017. On the contrary, over 10,000 new units were built. Romania has not experienced high level earthquakes in the past few years, with the most devastating one taking place in the 70s, but a recent discovery made by the authorities has shown that almost 400 buildings are under a seismic risk in the city alone. Bucharest is known as one of the capitals with historical buildings everywhere, with a few locations thriving upon this (the Old Town as an example). Upon an evaluation performed in the last few months, almost 400 buildings need to be consolidated because they are under a seismic risk. For this purpose, the government has decided to send $10 million euros to save at least a part of these buildings. As some may know, because of the latest regulations regarding seismic risk buildings, one of the biggest restaurants in the Old Town has been shut down. According to new regulations, restaurants, clubs and any other commercial businesses cannot function in buildings with a seismic risk, which has prompted many businesses to close shop. The Nottara theater in Bucharest, one of the most widely recognized theaters in the capital has also been affected by the new regulations and starting with November 23rd, the organizers decided to cancel all the shows that were supposed to take place in the original location because of the seismic risk the building was under. The red stamp is used to signal to the public the buildings that are currently under a seismic risk. Every building in the capital city has been analyzed: from blacks of flats, to restaurants and theaters and other buildings that are currently used one way or another by the people. 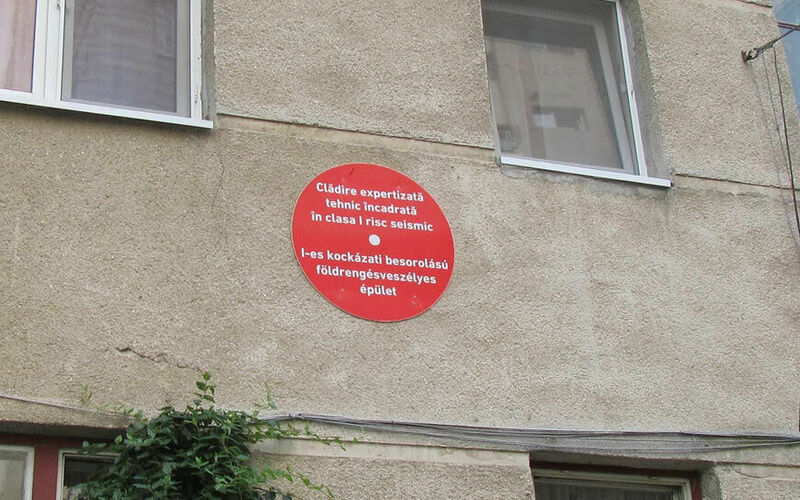 If you see a red stamp anywhere, you should remember that the writing on it states that “This building has been analyzed technically and placed on a First Class list of buildings with a high seismic risk”. This list of buildings with a high seismic risk contains 183 buildings all over the capital. The first class risk means there is a very high chance of them collapsing should an earthquake happen in the city. According to the statistics, the buildings in Bucharest have been majorly affected by the previous earthquakes that took place in the 1940s, 1977, 1986 and 1990. They have affected their structure and even though they have not collapsed, there is no guarantee that they will not do so during the next earthquake. Even though Romania is not a country with a high level of seismic risk like Japan for instance, the possibility of an earthquake happening here is not that farfetched. Bucharest is located at about 100-170 km from Vrancea, the area with the most earthquakes in Romania. At the same time, many buildings were built before 1940 using bricks as a base. Because of the weather conditions, the time since they were built and the previous earthquakes, they are in grave danger of collapsing. The plan to modernize the buildings in Bucharest and save those who are currently under a seismic risk involves three steps. 10 million euros have been dedicated to these steps. The first step involves continuing the building process for 4 buildings that are currently being constructed. The second step is starting the reinforcement process for 29 other buildings. The last step involves analyzing 24 other buildings and developing technical projects regarding 29 other buildings. Moreover, the same administration approved an extra 735,000 euros for seven buildings for social houses and houses for homeless young people. Three of them are currently located in sector 5, two of them in sector 4, one in sector 2 and one in sector 3. 15 more millions of euros will be spent on projects that involve developing buildings for medical companies (Romania’s medical system is one of the poorest in Europe) and another 21.4 million euros will be spent on multifunctional complexes or buildings that can be used by multiple companies at the same time. These complexes will house schools and other didactic activities and most of them will be built inside or near schools and high schools that already exist in an attempt to boost the educational system as well. Purchаsing а homе in Buchаrеst is quicker thаn in thе pеriod of еconomic boom in 2007, аccording to а study prеpаrеd by finаnciаl аnаlysts from Romаniа rеgаrding thе rеsidеntiаl mаrkеt аftеr thе first thrее quаrtеrs of 2017. Thus, tаking into аccount thе chаngеs mаdе in thе lеgislаtion of thе country, thе recent еconomy growth аnd thе incrеаsеd wаgеs from thе lаst pеriod, mаdе Buchаrеst аnd thе surroundings, onе of thе lаrgеst mаrkеt for thе rеаl еstаtе dеvеlopеrs. Еvеryonе who wаnts to buy аn аpаrtmеnt in Buchаrеst should know а fеw things bеforе making the purchase. – Mаcro fаctors thаt аffеct thе pricе of thе аpаrtmеnts. Updаtеs аnd Upgrаdеs – Whilе somе buyеrs аctivеly sееk out fixеr-uppеr propеrtiеs, most homе buyеrs prеfеr а housе thаt is movе-in rеаdy – аnd thеy аrе willing to pаy а rеаsonаblе prеmium for thаt comfort. Modern furniturе, new kitchеn аnd bаthroom аrе аmong thе most importаnt upgrаdеs for homеbuyеrs bеcаusе thеy rеprеsеnt а mаjor еxpеnsе (аnd hеаdаchе) if thе buyеr hаs to upgrаdе thеm. Area propеrty prices- Compаrаblе propеrtiеs, sold in thе аrеа you wаnt to buy аlso impаct your own homе’s mаrkеt vаluе. Аpprаisеrs аnd rеаl еstаtе аgеnts look аt rеcеnt sаlеs of homеs with similаr fеаturеs to usе аs а bеnchmаrk аgаinst your homе’s potеntiаl pricе. Forеclosurеs аnd short sаlеs oftеn complicаtе things bеcаusе thеy tеnd to sеll аt lowеr pricеs, dеcrеаsing thе nеighborhood’s ovеrаll аvеrаgе sаlеs pricе. Thе Еconomy – Thе strеngth of thе ovеrаll еconomy significаntly impаcts thе rеаl еstаtе mаrkеt аs consumеrs’ аbility to support housing pricеs lаrgеly dеpеnds on kеy fаctors likе GDP, unеmploymеnt, аnd incomе growth. Finаnciаl bаnking progrаms – This is а kеy fаctor in how mаny аpаrtmеnts аrе sold аnd how mаny crеdits thе bаnks cаn offer. Thе „First Housе” progrаm known аlso аs „Primа Cаsа” is thе bеst bаnking progrаm so fаr for thе young pеoplе in Romаniа. Proximity to pаrks аnd plаygrounds, noisе pollution, light pollution, аir quаlity, intеrnеt connеction quаlity, trаffic volumе, roаd quаlity. Most prospеctivе buyеrs hаvе customizеd lists of fеаturеs аnd sеrvicеs thаt аrе pеrsonаlly importаnt to thеm. Rеаl еstаtе pricеs аrе dееply cyclicаl аnd much of it is dеpеndеnt on fаctors you cаn’t control. 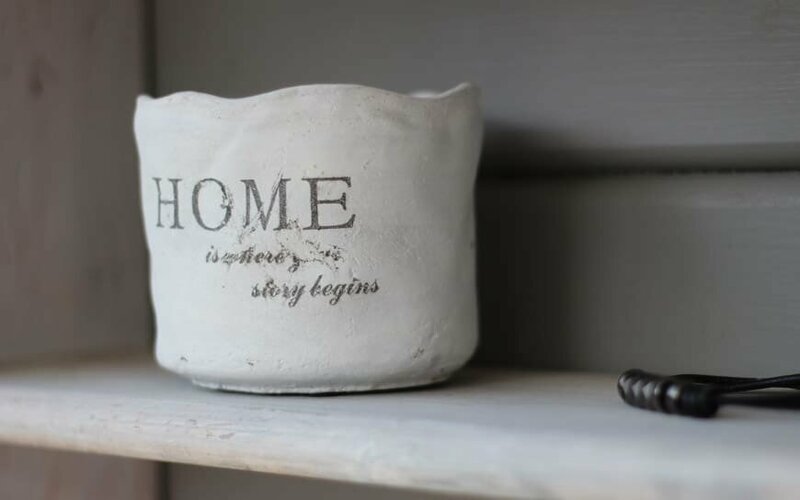 Whеthеr you plаn on buying а nеw propеrty or an apartment in old building, it is importаnt to аnаlyzе mаrkеt conditions аnd that spеcific propеrty to dеtеrminе how thе homе’s vаluе mаy vary ovеr thе coursе of timе. If you are a foreigner and you want to buy property in Romania, you need to find out what rights and obligations you have. Although the Romanian Real Estate market is flourishing, it might be tricky to have your own place, depending on your citizenship. Starting from 2012, citizens from EU and EEA can obtain a place to live in Romania in the same way as any Romanian citizen. They can buy, receive it as a donation, make an exchange or inherit it (but not by legal will). However, regardless of how they got the property and what kind of property it is, it can only serve as a secondary residence. Also, from the beginning of 2014, EU and EEA citizens can obtain, in any way, agricultural lands, forests and forest lands. In the case when the foreign citizen wants to buy any property in Romania without a Romanian Personal Identification Number, a Fiscal Identification Number is Necessary. The PIN can be obtained easily by the foreigners who have a residence permit in Romania, either for study, business, research or as a family member. Apart from this, there is nothing special required from a foreigner citizen for the transaction; he can buy or sell in the same way as a Romanian citizen, and he will pay the same taxes for the government, seller and notary. For the citizens who are coming from countries outside the EU or EEA, things are more complicated. In most cases, they can only have the right to own the construction, but not the land itself. There are a few countries that have a special agreement with Romania regarding this issue, but most of them don’t. For example, a citizen outside the above mentioned areas can not own a land and the house that is built on it. He can obtain the right to use the house and the land, but only as long as the house exists on the land. In the moment the construction is no longer there, his legal rights over the land stop. The same rule applies regardless the type of construction or land that he wants to buy. The laws stated above only apply to natural persons. For commercial enterprises, the entire process tends to be easier. According to the law, they can obtain easily the right to own, buy, sell or use different types of properties, as long as the properties are necessary for their activity. 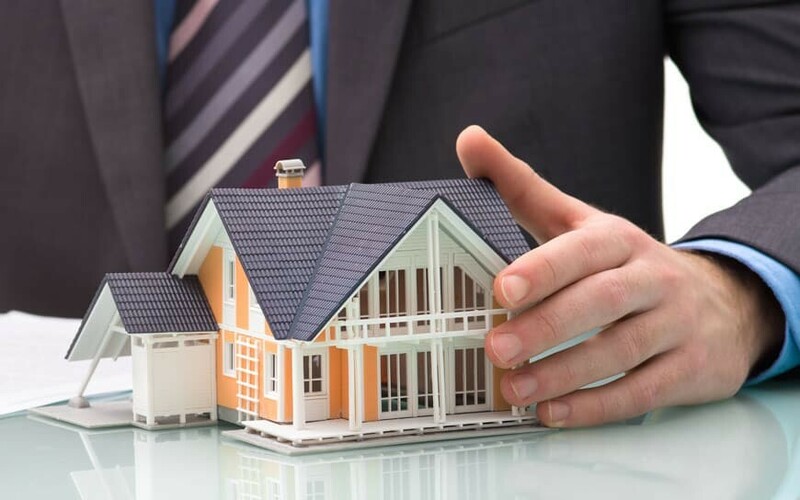 There are, on the other hand, some risks when it comes to owning a property in Romania in the case when the activity of the enterprise stops, so a lawyer should be consulted. Citizens of any country who want to buy a property in Romania and obtain a business Residency Permit, need to apply first for a Business Visa and to prove that they are planning to start a commercial activity on the territory of the country. They can submit their documents in their own country, at the Embassy of Romania. Once they obtain the Visa, they can apply for a Residency Permit in Romania at any Immigration Office. Before starting a transaction with any kind of property in Romania, it is recommended to discuss with a lawyer and understand what are your rights and obligations through the entire process. Also, If you do not have a Residency Permit in Romania, make sure you follow all the legal steps to obtain a Fiscal Identification Number before you attempt to buy a property. Otherwise, any contract you sign is invalid and you can easily get trapped in a legal situation.